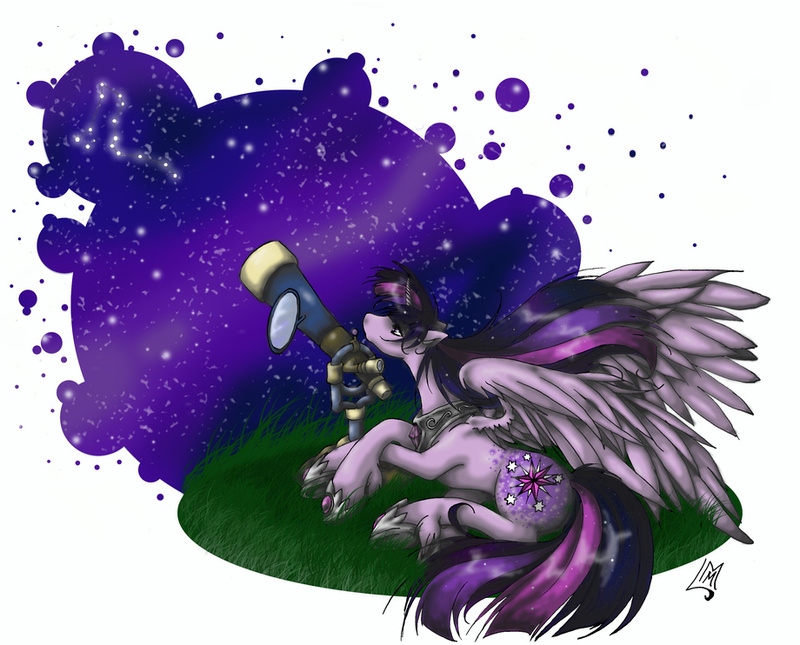 A sad Twilight Sparkle looks up to the stars to remember an old friend. This is only my second pony picture. And the first done in my style versus trying to copy the show! I hope you all enjoy it!